The upcoming episode of Sony Entertainment Television popular daily soap Patiala Babes is gearing up for high voltage drama. 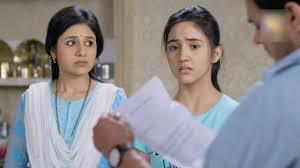 Babita and Minni are happy that they have taken initiative to fight back against Ashok and now Babita is fighting her own case. Babita has taken initiative to fight against Ashok and puts her point over all allegations that Ashok has put over her. Babita tells court all truth and how Ashok left her with family without thinking for her. Babita takes all charges and nullifies them with all steps and makes Minni proud of herself. Minni is happy to see this side of Babita and appreciates her, Babita and Minni thus takes up this swag forward.